We provide a range of vessel head cutting services to help you cut any shape you want on you steel material with utmost accuracy and with a bevel. All the CNC machines we cut your material on are developed and produced in-house. 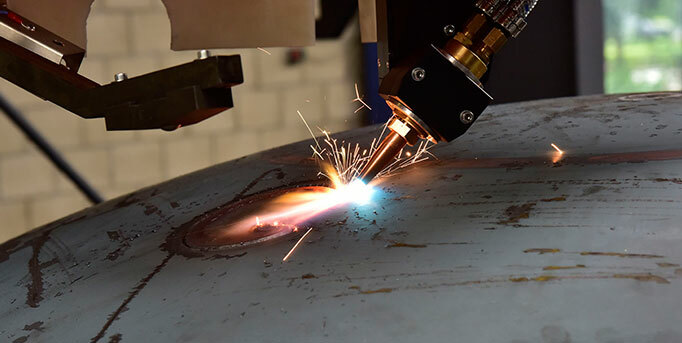 With our FitPerfect™ technology we have capacity to realize extremely accurate cuts of centered and excentrical holes on pressure vessel heads. Once cut with a bevel, the parts arrive at your facility ready for fast and easy fitting and welding. Hole with weld preparation to fit a nozzle. 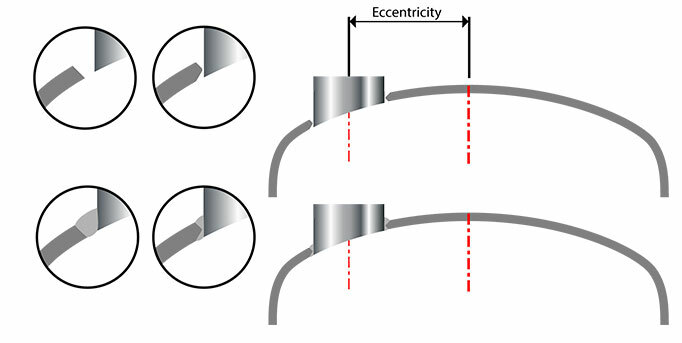 Hole with inside and outside weld preparation to save weld volume. 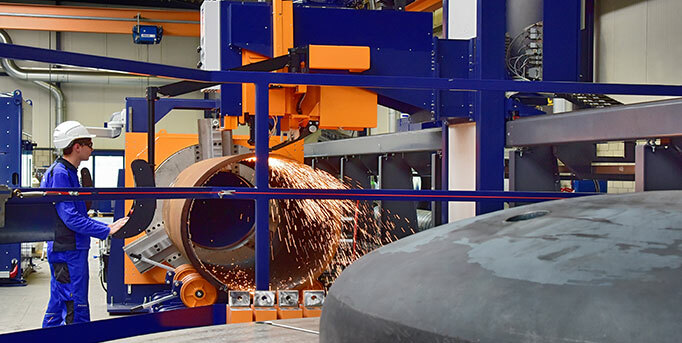 Our technology has the capacity to cut vessel heads, shells, nozzles, reinforcement pads and eccentric holes, all with a bevel and with utmost accuracy. 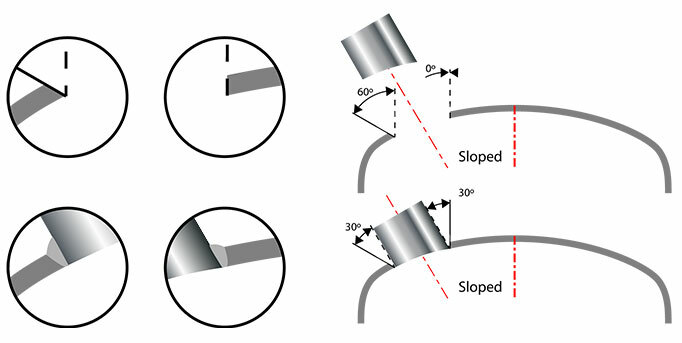 Our advanced cutting technology and cutting compensation ensures highly accurate hole cutting. 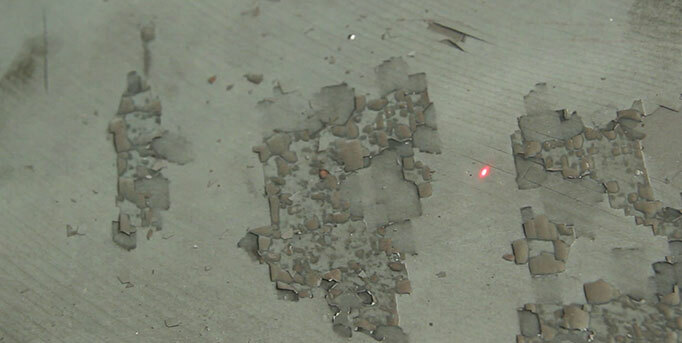 Our technology is capable of cutting centric and excentric holes with weld preparation (e.g. : V bevel, K bevel). 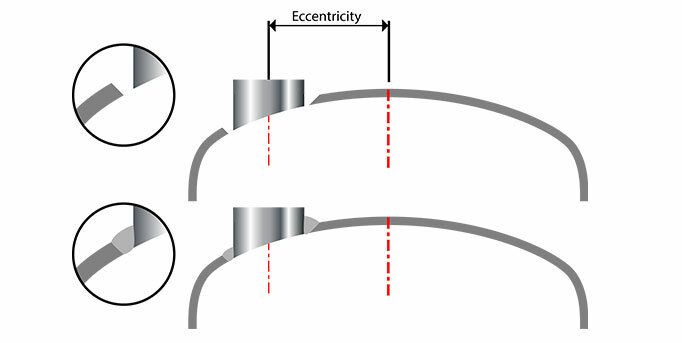 Laser measurement of the surface enables adaptation of the theoretical 3D cutting path to the deviations of the vessel head. The perfect weldpreparation reduces your fitting and welding time. 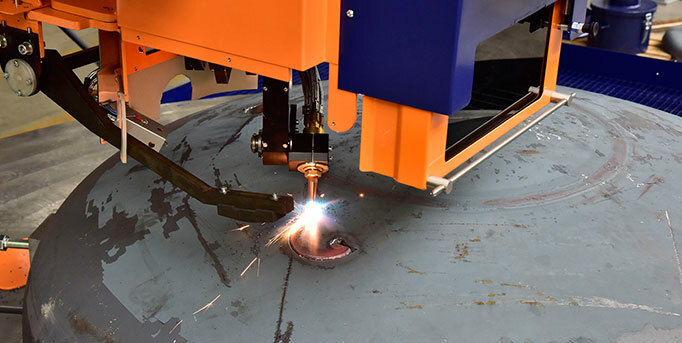 And with 6 cutting machines and a flexible work capacity, we ensure that you can start welding sooner than when you would make the preparation yourself. What is your greatest worry in a fabrication process? Is it the complexity of the design, poor production flow management, loss of control over the operating expenses or the lack of highly skilled welders? Then, how do you deal with the increasingly tough demands and regulations on welded structural design? Our vessel head cutting services include transportation. 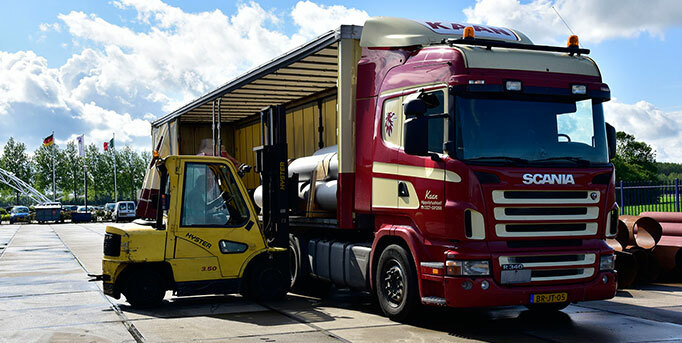 We deliver the pipes, ready for fitting and welding. So you can concentrate on your core-business.